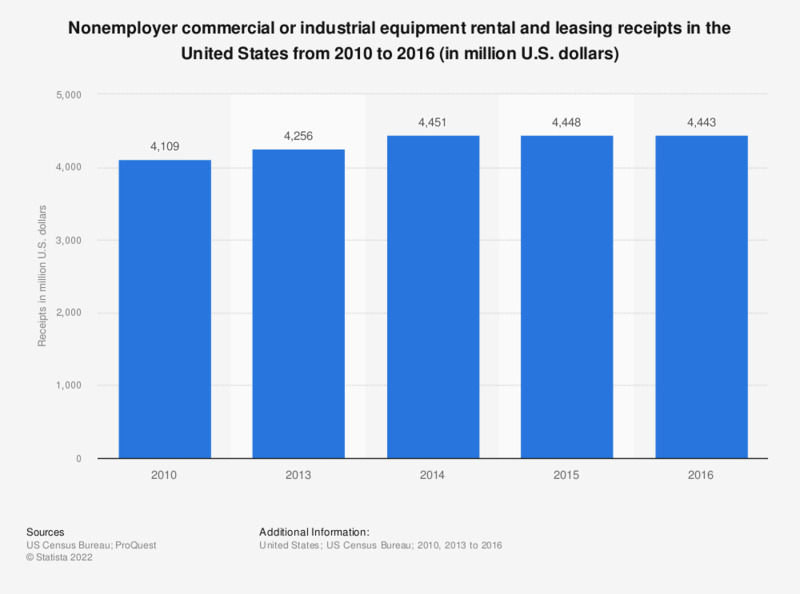 This statistic presents the number of non-employer receipts in the commercial or industrial equipment rental and leasing sector in United States from 2010 to 2016. In 2016, there was a worth of approximately 4.44 billion U.S. dollars of non-employer receipts in the commercial or industrial equipment rental and leasing sector of the United States. Includes only firms subject to federal income tax. Nonemployers are businesses with no paid employees.